Sophisticated duplex suite. Living room, kitchenette with open fireplace, bedroom and en-suite bathroom. This 116m2 suite evokes a historical period of mystique and merchantry, recreating the allure of a time characterised by wonder, exploration and discovery. 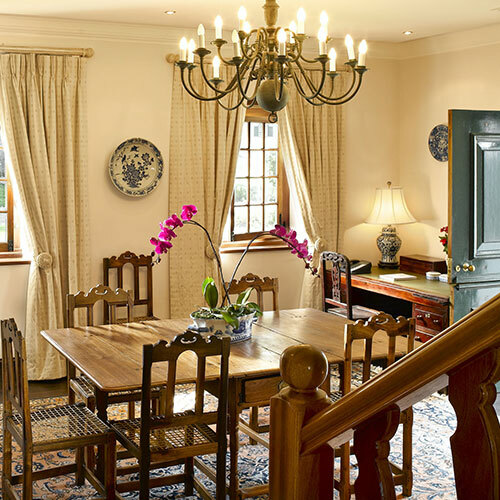 The elegant dining room unfolds into the stylish, softly lit lounge with its exquisite walnut armoire, Delft and Willow ceramics and crackling fireplace. The compact galley kitchen can be found behind shutters, while doors open onto the tiled patio with pool loungers, an outside table and private lawn with splendid views of Steenberg’s breath-taking natural surrounds. 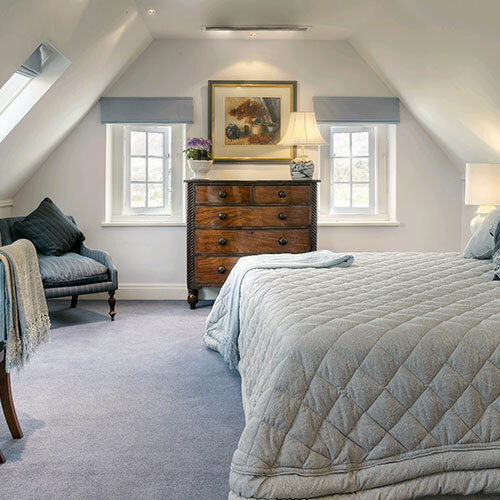 Upstairs, the tranquil bedroom’s loft windows offer magnificent vineyard and mountain views. This room can be furnished with two twin beds or a Super King bed at your request. 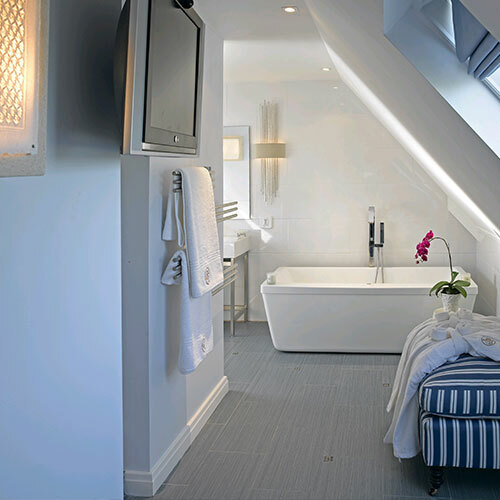 The bathroom is stylish and contemporary, and is bathed in natural light. 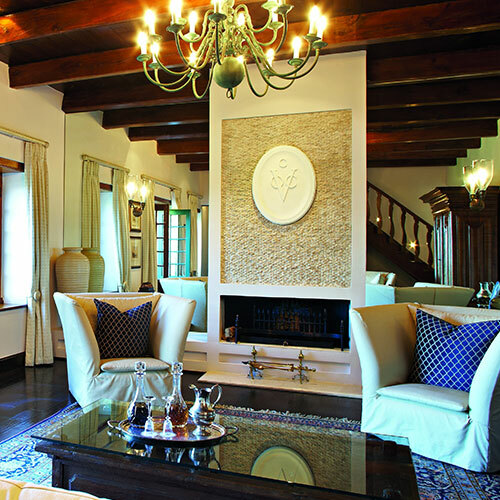 This exquisite suite shares a pool with the Cape Colonial Suite. For a larger family or group stays, the Dutch East India Suite and Cape Colonial Suite are connected by inter-leading doors.